Softbank will launch the world's first phone with radiation detection, as fears over last year's nuclear plant disaster still linger. It may seem strange to see Clearwire, Sprint Nextel's longtime network partner, running into the arms of a rival bidder, but the board's decision didn't come out of nowhere. There's a complex set of factors at play among these companies, and several possible outcomes that could affect consumers differently. Last Thursday, Clearwire's board of directors and a special committee of independent directors recommended that shareholders of the struggling carrier accept Dish's tender offer of US$4.40 per share. It was a major shift for the board, which throughout a bidding war between the two suitors had supported Sprint's plan to buy Clearwire as part of its merger with Japanese service provider SoftBank. Sprint's ties to Clearwire go all the way back to the latter company's founding, but conflict between them is also longstanding. Sprint owns more than half of Clearwire's stock and is the main customer of the company's WiMax network, which the companies launched in 2008 as the first national 4G network in the U.S. 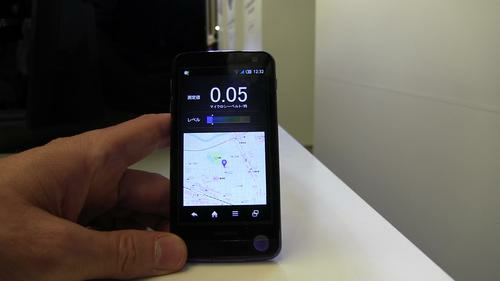 But WiMax neither lifted Sprint from its position as a struggling No. 3 mobile operator nor created a thriving business for Clearwire. While Sprint thinks Clearwire rolled the network out too slowly, Clearwire feels it's never gotten all the backing it needed from Sprint, according to Roger Entner, an analyst at Recon Analytics. After Verizon Wireless and other rivals came out with their own 4G networks using LTE, Sprint and Clearwire each moved in that direction. Sprint now has LTE in 110 markets, so it no longer totally relies on its partner for 4G service, though it still resells access to the WiMax network. Yet Clearwire plays a key role in Sprint's future because it holds about 150MHz of radio spectrum in major metropolitan areas, some of which came from Sprint's own holdings when Clearwire was formed. Sprint wants that spectrum -- and Clearwire's own LTE network -- so it can build a more competitive LTE service. SoftBank's offer last October to buy a majority stake in Sprint, investing billions in the company in the process, would give Sprint the resources to take Clearwire completely under its wing. Together, the companies would have SoftBank's money, Sprint's mobile business and Clearwire's spectrum. But in January, satellite carrier and would-be mobile operator Dish Network, which had already clashed with Sprint over rights to a piece of new mobile spectrum, put in its own bid for Clearwire. Dish then offered to buy Sprint, too. That set off two separate bidding wars that, together, threw SoftBank's and Sprint's plans into question. "A soap opera on TV couldn't come up with more twists and turns," Recon's Entner said. It may cost more than SoftBank or Sprint wanted to spend, but if the three companies can come together, they may have the best prospects for offering consumers a stronger alternative to the top two U.S. carriers. SoftBank's $8 billion investment in Sprint and its ongoing backing as majority owner could give Sprint the resources to compete more effectively with AT&T and Verizon Wireless. Sprint has less LTE spectrum than its bigger competitors today, but Clearwire's frequencies could give it much more capacity where it's most needed. SoftBank has experience with TDD (time-division duplex), the kind of LTE that Clearwire plans to use, and it's been a scrappy rival to bigger carriers before in its home market. Analysts expect innovation and price competition from this combination. If Dish did win out, it would face some challenges, but don't count the newcomer out as a mobile player, analysts say. Dish has already won the right to use about 40MHz of its former satellite spectrum for mobile services, and it could combine that with Sprint's and Clearwire's. With its home broadband service and experience in the video business through satellite TV, Dish could bring new ideas and service combinations to mobile. "I think it would be good for consumers, because it would be disrupting the market and pushing us toward a more innovative mobile broadband ecosystem," said Phil Marshall, an analyst at Tolaga Research. Dish is already experimenting with a terrestrial fixed wireless service using spectrum in the same band where Clearwire's rich holdings lie, at around 2.5GHz. Last Thursday, Dish announced a trial in West Virginia of a fixed wireless service it built in conjunction with Ntelos Holdings. The trial network is delivering between 20Mbps and 50Mbps of bandwidth to initial test sites over frequencies in the 2.5GHz band, the companies said. "The question is not, 'Can Dish buy them,' but 'Can Dish actually turn this company that they're buying into a viable competitor?" Entner said. "They would have to inevitably raise money to build out the network to be competitive." When it made its last bid for Clearwire, Dish said it was willing to settle for less than the whole company -- under certain conditions. It wants at least 25 percent of Clearwire's shares, the power to name three members to its board, and other rights such as approving all material transactions with third parties -- which would include any acquisitions of Clearwire. This arrangement could make things very awkward for Sprint, Entner said. Sprint would still be funding the expansion of Clearwire's network but would probably have to let Dish use the network as well, he said. On top of that, Dish might make Clearwire hike Sprint's cost to use the network. Alternatively, Sprint might let Clearwire's network languish without the buildout that it needs to take advantage of all its spectrum. However, Dish's plan to buy a minority stake might unravel in court, Entner said. Sprint has already warned that Dish's plan would violate an existing shareholder agreement between Sprint and Clearwire. "Dish is coming from a different market. The process of catching up with the others is going to be more costly and challenging for them," Marshall said. "It's a mass-market business, at the end of the day. Scale matters." As hard as it would be for Sprint to take advantage of Clearwire's spectrum while bickering with Dish as a minority shareholder, it's even less likely the company would let Dish take it all over, Entner said. Combining Clearwire's frequencies with its own and with spectrum it's seeking from bankrupt satellite provider LightSquared, Dish could have 200MHz of spectrum, he said. "Suddenly this entry from the left has the most spectrum in the whole industry," Entner said. Meanwhile, Sprint would be left competing in upcoming auctions for former TV channels in the 600MHz band, an uncertain and expensive prospect. Any outcome that keeps SoftBank from getting Clearwire's spectrum might scare away Sprint's suitor. "The Clearwire assets are an important part of the overall strategy with SoftBank," Marshall said. "They've got to secure those assets." Dish's attempts to buy out Sprint, Clearwire or both, or remain a thorn in Sprint's side, may be more than the Japanese company bargained for, Entner said. "The whole thing must leave some doubt in SoftBank's head," Enter said. Analysts believe if that would-be suitor walked away, it's likely Sprint would run to the arms of Dish.